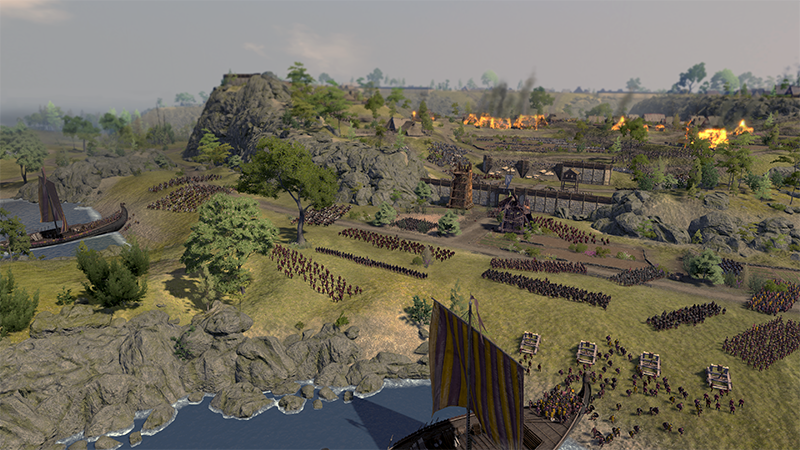 As the first game in the Total War Saga series, Thrones of Britannia set out to both tread new ground and shake up an established format – but how did it do? We spoke with game director of Thrones of Britannia Jack Lusted about the design process, what worked and what didn’t, and the game’s future including a brand-new update patch – read all about it below. 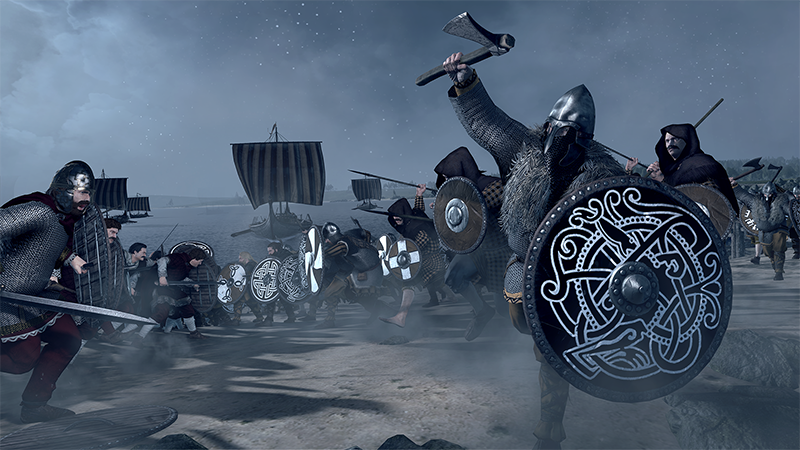 Thrones of Britannia is the very first Total War Saga game – what’s the aim of the Saga series? Jack: The Saga series uses more focused periods of time and geography as a basis – moments in history where perhaps there isn’t one character to focus the game around, but that are nonetheless a great setting for the Total War experience. Because these titles are hyper focused on one time and place, it allows us to spend time thinking about how the game works and what changes we can make to reflect the time period covered and deliver a new experience. Was it daunting taking the Total War series in a new direction like this? Jack: Absolutely. I’ve been a fan of the series for the past 18 years so leading a team as game director on a new type of Total War game was huge! Doing anything new is always daunting, but it’s also an opportunity. 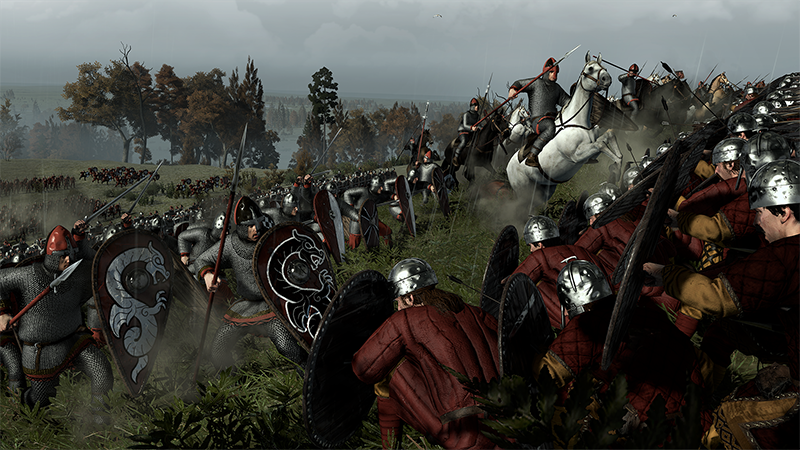 Throughout the work done on new content for ROME II and ATTILA, there were plenty of ideas we had or changes we wanted to do that we couldn’t as they wouldn’t fit with those games. 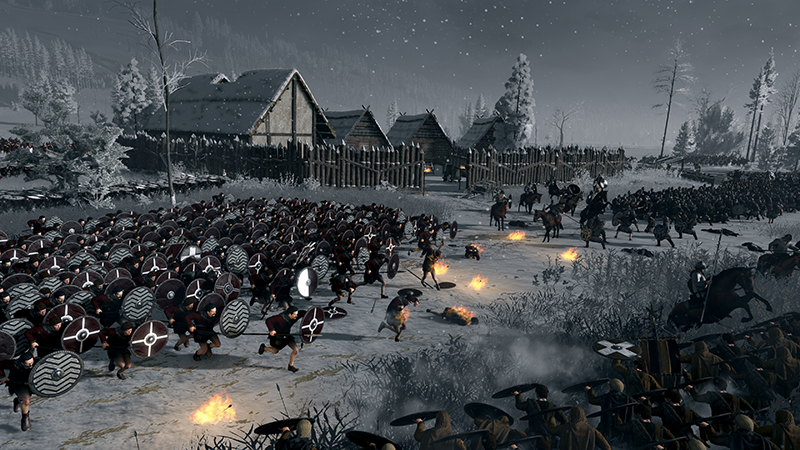 Thrones of Britannia represented a chance to make those kinds of changes in a game tailor-made for them. Back when it was announced, you said the game’s design philosophy was “one of re-invention and focus, looking at classic Total War mechanics and consolidating them to deliver more meaningful choices for the player” – do you feel like you achieved what you set out to do? Jack: For the most part, yes. 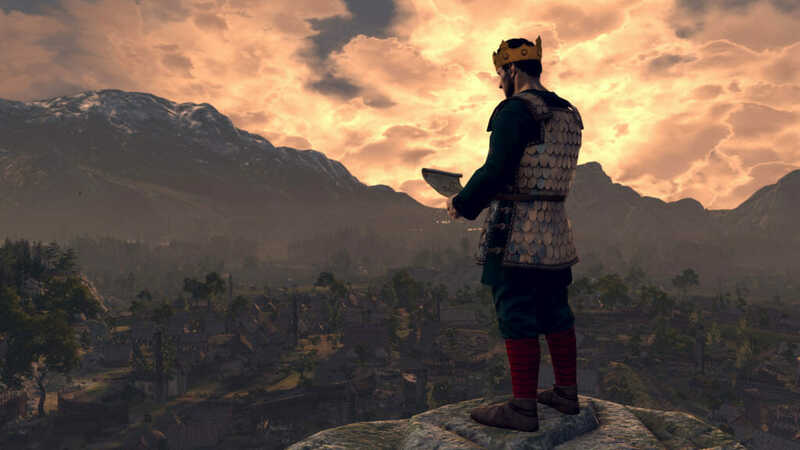 We made a lot of big decisions with Thrones in terms of what features to keep from other Total War titles and where we wanted to change or do something new. The new recruitment system represents a big change from previous titles in particular. It really changes how you have to approach recruiting armies and how to use them. Do you recruit an army in response to a threat and then throw the units in under strength? Or do you wait, probably losing territory, until they’re fully up to strength? I’m also really pleased with how characters have become a focus for a lot of bonuses that previously were more spread around. That said, it’s clear from some more negative reactions we’ve seen that the new faction features we added – like Heroism, for example – haven’t resonated with everyone. That’s obviously disappointing and something that we’ve been spending a lot of time looking at recently. What challenges did you encounter during the design process? Jack: The big one is the fact we knew that making so many changes was not exactly a “safe” approach. 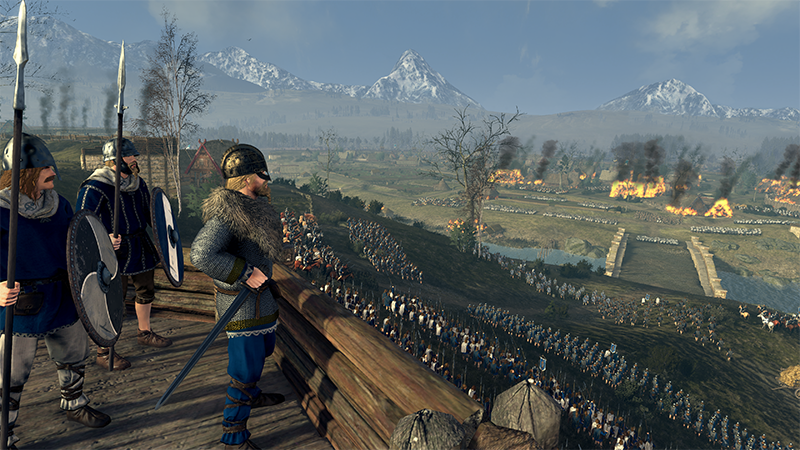 Total War as a series is beloved by its fans, and any changes to the Total War formula need to be done very carefully. The execution needs to be as close to perfect as you can get it so that what you deliver feels like an improved experience – players shouldn’t feel like anything is worse or missing. This meant that a lot of our time was spent thinking again and again about how the features in Thrones came together as a whole to deliver the experience we wanted. We know we didn’t manage to achieve this for all players, and that was always a risk. What do you think didn’t work so well? Jack: Politics – in particular the new Estates system – and the faction mechanics like Heroism and Legitimacy haven’t had the impact we thought they would. For politics, some players seem to find managing loyalty too simple. Estates feel a bit superfluous to them. With the faction mechanics, the impact they have on the turn-to-turn gameplay is too subtle so it seems people often ignore them, which is absolutely not what we wanted. What did you and the team learn from Thrones of Britannia as a whole? Jack: We learnt a lot, but the main thing has to be if you make significant changes, you’ve got to get them exactly right. The design intention, the implementation, the balance, the in-game experience and how it works with other features of the game. All these aspects need to be analysed, tested, and validated from various perspectives to encompass the full range of different player tastes, preferences, and expectations – underestimate the scale and importance of this challenge at your peril. We’re also looking at how we gather feedback on the game before release. Both the average review score and the user scores on Steam were below what we expected – this is a clear signal that we’ve got something wrong. Some of our players didn’t get the experience we wanted them to have and these mixed reviews hurt us on a number of levels, so we need to make sure we avoid that in future. What’s next for the game? Jack: We have a couple of things coming up: the Blood Pack, which will be free to anyone who owns the ATTILA Blood & Burning DLC, the Assembly Kit to support modders, and a substantial new update to the core game called the Allegiance Update. This update will introduce a number of changes to the game to address player feedback and improve the overall experience. We wanted to put these improvements in the hands of players as soon as possible so we have made it the priority, pushing back the release of the Blood Pack. The first version of the update is available to try from today as a beta (go here for more information and instructions on how to download). It will stay in public beta for a while (with at least one update adding more changes) so that we can ensure its full release to all players, alongside the Blood Pack, will be as polished as it can be. What sort of changes can we look forward to in the Allegiance Update? Jack: The biggest change – and the one the update is named after – is the addition of Allegiance to the game. This feature is based on Religion from ATTILA and the Culture mechanic of ROME II but, to better match what was going on during the time period and the design of the game overall, it has been reimagined as “Allegiance”. As you take territory, you’ll spread Allegiance to these new regions based on how influential your faction leader is, the followers and traits your characters has, and possibly some buildings – we’re still balancing aspects of this feature. You’ll also suffer public order penalties from having lots of other faction Allegiances in your territory. Adding this feature helps tie in to several areas that we identified for improvement, mostly politics and how provinces work. Some players mentioned that, with the lack of garrisons, it can be harsh and frustrating to take back a settlement you had a turn before and suffer the occupation public order penalty straight away. With Allegiance we’ve now removed the occupation public order hit, so the main public order penalty you get from taking a settlement is based on Allegiance. Take back a settlement you lost the turn before and you’re very unlikely to have any extra public order issues. Take a settlement deep in enemy territory, however, and it will take time to get the people’s Allegiance and deal with the resulting public order problems. Allegiance also ties in to the politics system. Characters who feel wronged through political actions or who gain traits based on low loyalty or their influence can spread “Usurper” Allegiance. This ties in to the factions that appear when you have a civil war. As a result of these traits, characters may start to have public order problems due to Allegiance deep inside your territory, requiring you to deal with the characters causing the problem (which can lead to other consequences as well). This way, the spread of Usurper Allegiance helps alert you to problems and gives a nice build up towards worse ones. We’ve also made changes to the building trees. All minor settlement buildings – aside from religious ones – now branch at tier four. Generally, these branches have one focused around food or resource production, or one on income or certain income bonuses. For example, with the Lead building tree you can choose between lots of lead production or getting bonuses to Church income in the same province, which can work well if there are Abbeys or a Monastery in the same province. The buildings in major settlements have changed as well. We’ve added the Merchant and Workshop chains that give basic Commerce (what we’ve renamed Market income to avoid potential confusion) and Industry income respectively to always allow for some of that in a province. But the bigger change is in what I’d call the “combo” buildings. For example, the Tanner chain – which gives a bonus to the Hunting chain that exists in some minor settlements – can now only be built in provinces where that chain exists. The Tithe Hall chain now boosts food production from Farms, Pastures, and Orchards, and also gives a bonus to Church income. However, it can only be built in major settlements in provinces that have a Monastery or an Abbey in at least one of the minor settlements. We’ve added more combo buildings as well. The Warehouse chain boosts food and income from all ports in a province. Church Crafts gives church income and boosts Industry income from Copper, Iron, and Wood building chains in a province, too. The Artisans chain improves income from Gold, Silver, and Lead building chains. Finally, the Craft Merchant gives a bonus to income from the Cloth, Pottery, and Salt chains. All of these combo buildings are now only available in provinces where the relevant buildings they give bonuses to exist, resulting in a lot more variety in the options available from province to province, as well as more choice in what you can do in each province. Politics has had some big changes, too. 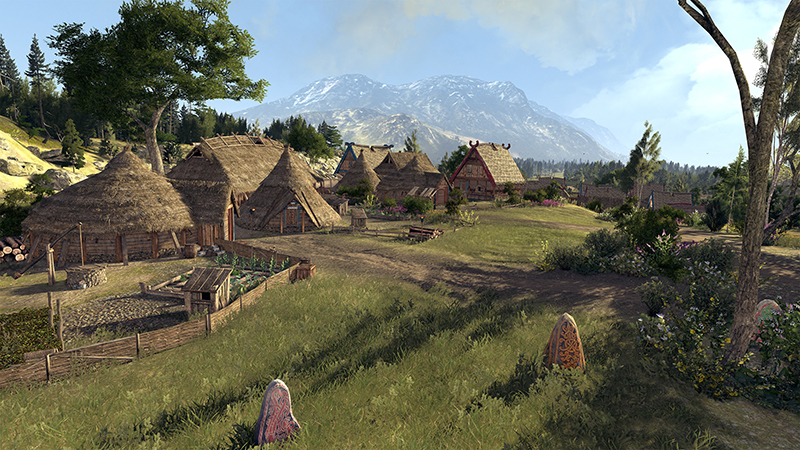 We’ve listened to feedback that some players have found Estates underwhelming and added more variety to the system. There are now multiple types of Estates (religious, agricultural, and Estate types). 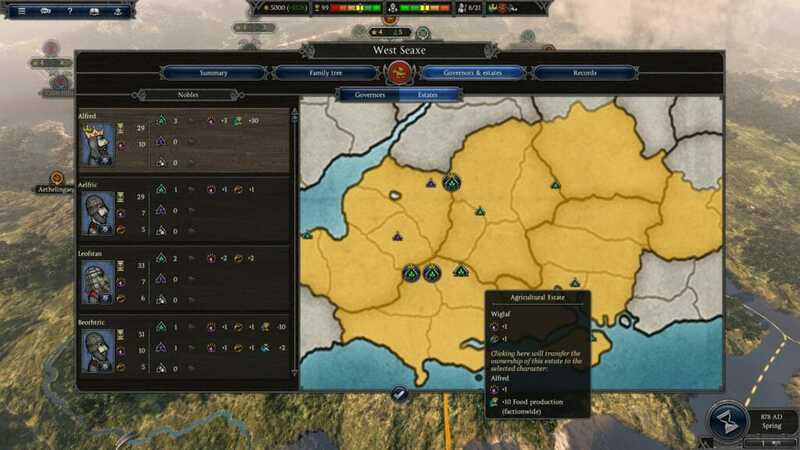 Characters can now gain traits that give them a preference for a certain type of Estate, or a desire to have more than the faction leader, or a desire for none at all (and these aren’t the only ways characters can now desire Estates). This gives more variety in both how characters in the game interact with Estates and how you must manage them. We’ve also improved the family tree UI, splitting apart faction-level information into a new screen to give a better overview as well as more space to show the family tree itself. This allows for only relevant political actions to be shown for each character, a better display of the bonuses wives give in the family tree, and a new filter to allow you to see just the faction leader and their immediate family (which can be useful as the campaign goes on and the family tree gets larger and larger). The battle AI has received a lot of attention, too, to both fix issues that have been reported and to make it more of a challenge on the battlefield. AI armies will no longer turn 90 degrees to you, or only use a few disembarking spots on coastal maps. We’ve improved AI missile unit targeting, creating the opportunity for them to decimate your own missile units (which definitely makes things tougher!). The AI will also make better use of terrain hint lines for hills, time the approach of its cavalry better, and won’t leave its general on their own in sieges far away from the walls. We’ve also improved the formations the AI uses so it’s less vulnerable to flanking and made it position units better for how it can make use of them. These are the big changes for the first beta of the Allegiance Update, which will of course also come with a number of balance changes and bug fixes. Future updates will have changes to mechanics like Heroism, Legitimacy, Here King, and Tribute, as well as some other changes that we’ll take about once they’re ready. What’s your favourite part of the update? Jack: I’m really enjoying the building changes – they definitely give a lot more options when improving a province and different ways to do so. What is the Assembly Kit and what will it contain? Jack: The Assembly Kit is how we release official mod tools for Total War games. The Thrones Assembly Kit will be available as a beta via the Tools menu in your Steam Library in the next week or two, and will be immediately familiar to modders of Total War: ATTILA. 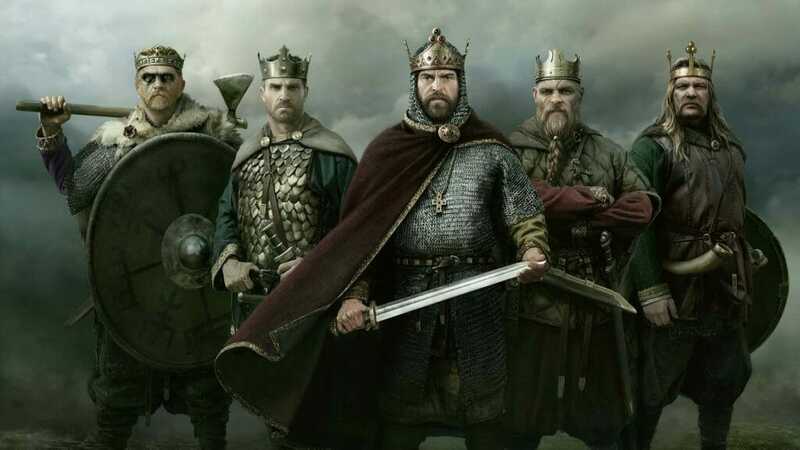 What about the long-term future of Thrones of Britannia? Jack: For now, we’re focusing on what improvements we can make to the game without losing the aspects many people enjoy. 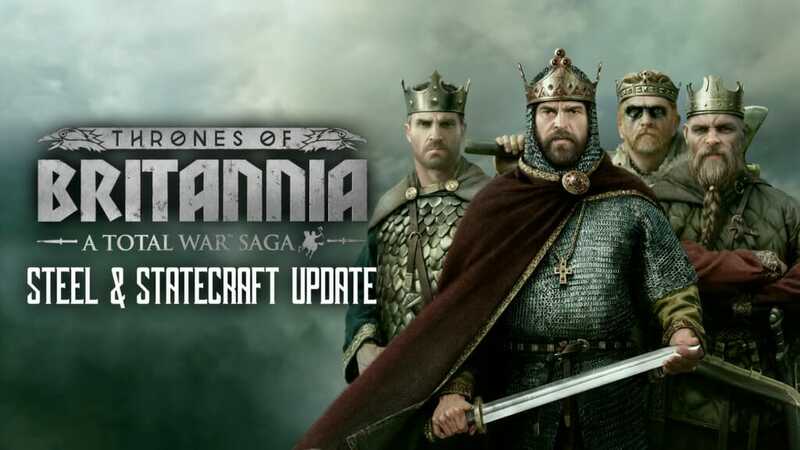 The Thrones of Britannia Allegiance Update beta is available to try now. The Blood Pack will follow after the beta period when the final Allegiance Update is ready to be pushed to all players. For all the latest updates about Thrones of Britannia and other Total War titles, make sure to follow the official social media accounts on Facebook and Twitter.